Healthcare heavy hitter Mike Rickman has joined the Bradford Health Services executive team in Birmingham, Alabama as president. 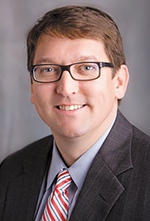 Prior to joining Bradford, Rickman was the chief executive officer at Shelby Baptist Medical Center. For more than 25 years he has been professionally active in the operational side of how healthcare efficiencies are employed. Bradford Health Services manages 28 locations in six states and provides services for patients across the country, from its Birmingham, Alabama base. Bradford is dedicated to helping patients recover their lives from addiction. “Bradford completed a thorough national search for a president. We were pleased to discover the best candidate was right here in Birmingham. Mike Rickman brings to this role proven executive experience and a vision for continued growth and success,” said Clay Simmons, Bradford’s chief executive officer. Bradford Health Services has been treating alcoholism and drug addiction in adults and adolescents for more than 40 years with a unique continuum of care. The approach to treatment is both effective and affordable. Bradford’s mission is to bring hope to patients and their families, leading them on a path to recovery. Bradford provides services in Alabama, Arkansas, Florida, Georgia, North Carolina and Tennessee.